Most people are able to operate their iOS device using only one Apple ID account. However, there comes a time where it may be necessary to change the Apple ID that is registered to your Apple device. In this post, we will guide you on how to change your Apple ID and tackle some of the most common issues that have to do with changing your ID. Open the iOS Settings app and scroll down to "iTunes and App Store". Tap on the Apple ID. At the pop-up screen, tap "Sign Out". After signing out, it will present you with two options. You can choose to either "Log in to another Apple account" or "Create a new Apple ID". Fill in the login if you have another Apple ID, or sign up details as prompted by the system to create the new ID to log in. Then is it! You have changed apple id in App Store on iPhone easily. However, after switching Apple ID in App Store, you may have other questions about your Apple ID account. In the following parts, we list the most common questions or issues about Apple ID found in Apple Community. Check them to improve the performance of Apple ID. 1. How to Change Apple ID in iTunes Store? 3. How to Remove Apple ID from App Store? 4. Is Apple ID not working for App Store? 5. Will I Lose Data during Changing the Apple ID? Tap on [Your Name] > iTunes and App Store. Tap on your Apple ID which is on the top of the page. Tap "Sign Out" then "Sign in" after it has signed out. Enter a different Apple ID and its password or chose to create a new Apple ID. Remember that every download is specific to each account and you may need to switch back to update apps. Apple apps are purchased and recorded to specific Apple IDs. When you change your Apple ID, the apps do not move to the new ID. As a result of this, you would be required to switch to the older account whenever you want to update a specific app that prompts you to enter your older Apple ID in order to update it. The only other workaround for this issue is deleting the app then purchasing it again using your new Apple ID. However, OS apps do not require the Apple ID and will always update regardless of the account. Scroll down and open "iTunes and App Store". Tap on the "Apple ID" toggle. At the Apple ID management pop-up, click sign out. This will remove your ID. If your Apple ID is not working for App Store, it may be due to a conflict on different Apple IDs you are using. Try signing out of one of your Apple IDs. You can view the conflicting accounts by trying to sign in to the App Store app. The Apple ID controls all of your device purchases. It is a possibility that you will lose your data when changing the ID. To avoid the loss of data, you should back up your iPhone data on a separate cloud or device. The best tool for data backup data for iOS devices is iMyFone iTransor. This powerful tool can run from Mac and Windows and is able to back up data for free. It can back up all the data, or only WhatsApp, WeChat, contacts, or messages on your device. Besides the feature of backup, iTransor can extract or restore data from iTunes or iCloud backup. It can even merge data from two Apple IDs. It supports across all iOS models and versions, even iPhone Xs/Xr/Xs Max running iOS 12. 6. 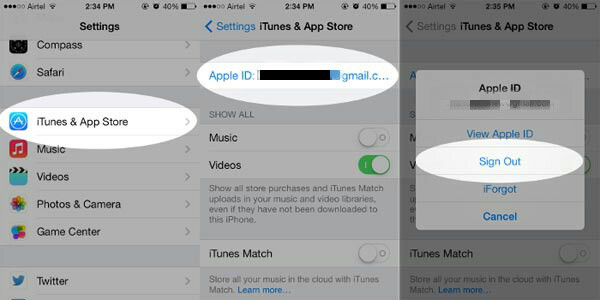 How to Change Apple ID in iTunes Store? If you are unable to access your Apple ID for your App Store, it could be due to security reasons. The account automatically locks itself when you or someone else enter an incorrect password too many times or give the wrong answer to a security question. The quickest and easiest way to resolve this is to go to iforgot.apple.com. Here, you will be prompted to enter your password or reset it depending on the circumstances. If you have activated two-factor authentication, you will need to enter the recovery key that will be sent to the trusted phone number you enter. 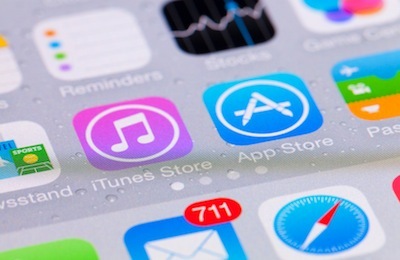 Whatever the reason for changing Apple ID in App Store may be, you need to remember that your Apple account connects your device to the various Apple services. It is, therefore, a delicate process that could result in some issues if you do not go about it correctly. Back up your iPhone regularly is necessary to ensure the safety of your data so just make a free backup with iMyFone iTransor right now!